Do you guys have an OT service your class? I'm SUPER lucky... my class gets a full class OT lesson once a week. She is fabulous and comes in with fun activities and usually wraps up the session with a cute craft/art project. This week she did a cute apple craft to start the year. 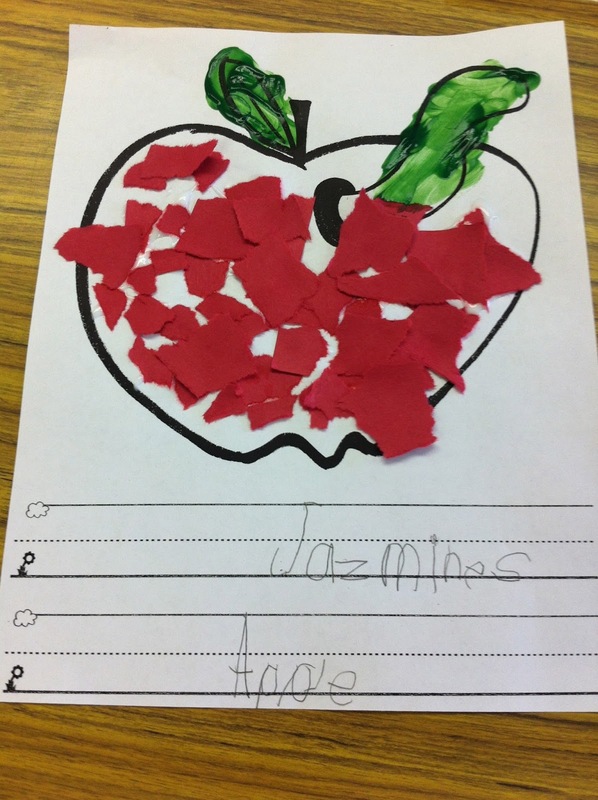 The students had to tear their own paper and glue it to their apple. 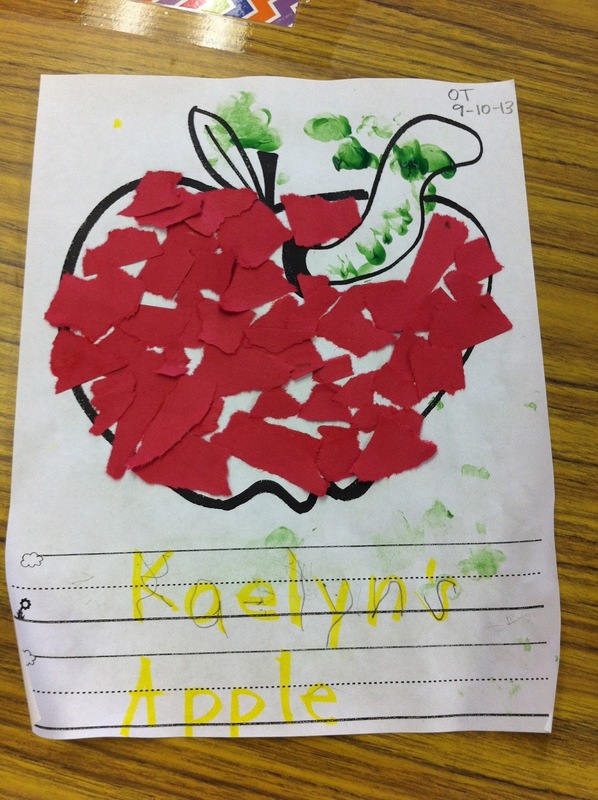 The fun part was finger painting the worm and stem! This is a great sensory activity for my kiddo's with autism! As you can see, we use high lighter for my lower kids that are still working on tracing. Peek-A-Boo, Where is the Ghost? The Very Hungry Caterpillar Activities!